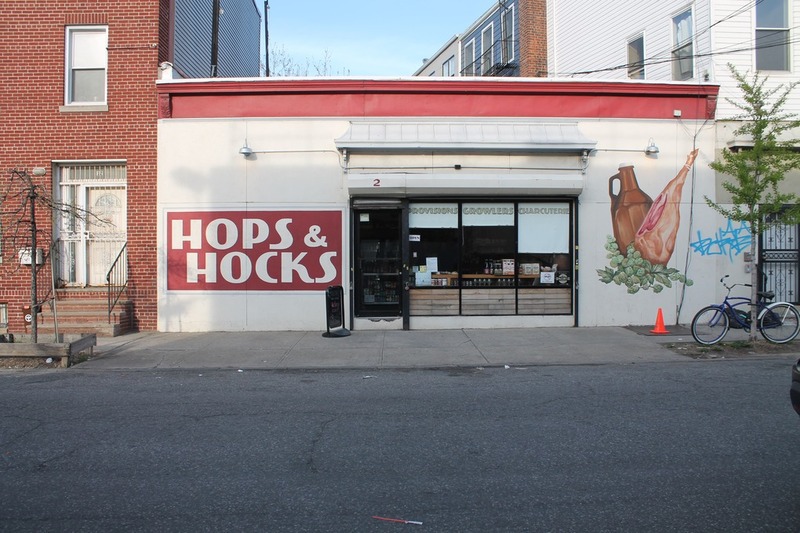 Hops & Hocks has been a solid stop for cheese plate fixings and rare beers since it opened on Morgan Avenue in 2013. But their updated sandwich menu could be the shop's unsung hero. 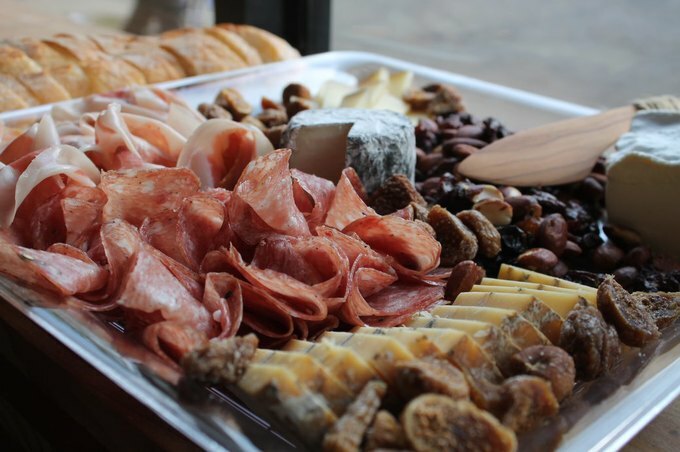 When Bushwick Daily visited Hops & Hocks on a recent Friday evening, the space was full of people on their way home from work enticed by the Victory Brewing Company tasting event and decadent meat and cheese plate near the door. The quality of the toppings on the sandwiches was unrivaled, but the true standouts of each bite were the house-made spreads and sauces. 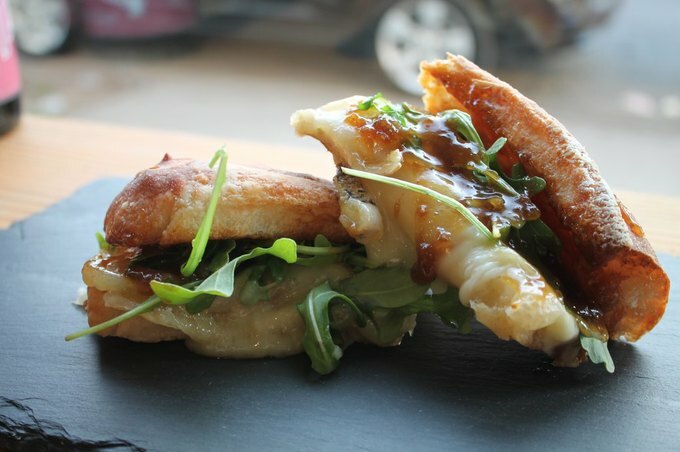 One of the best was the fig mostarda spread liberally on the vegetarian offering: a taleggio sandwich with arugula and the spicy, sweet sauce slathered over the top. 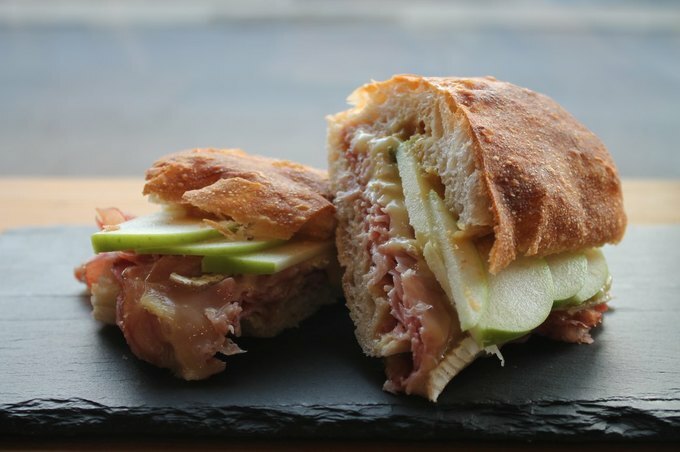 The rosemary ham on the number 1, a classic blend of ham, brie and green apples contains just enough rosemary flavor to elevate the sandwich we've seen on countless menus. Rosemary ham, brie, and green apples. Jorge, the shop’s manager and mastermind behind the menu’s revamping, took his time crafting each sandwich, but the results were well worth the wait, with toasty fresh bread and gooey cheese on sandwiches like the ones below. 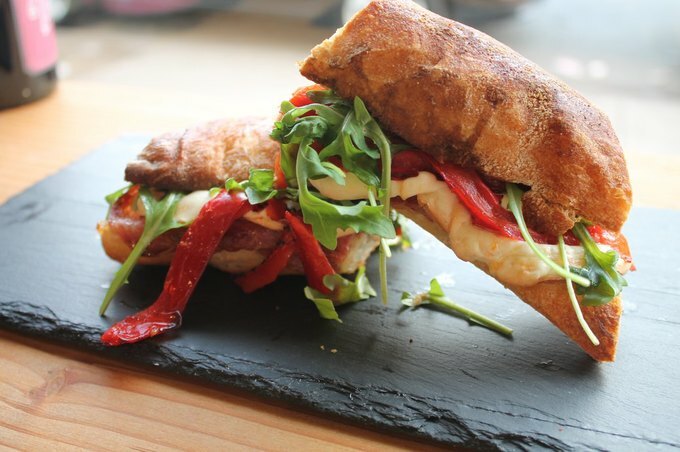 Sopressata, mozzarella, arugula, and roasted red pepper. 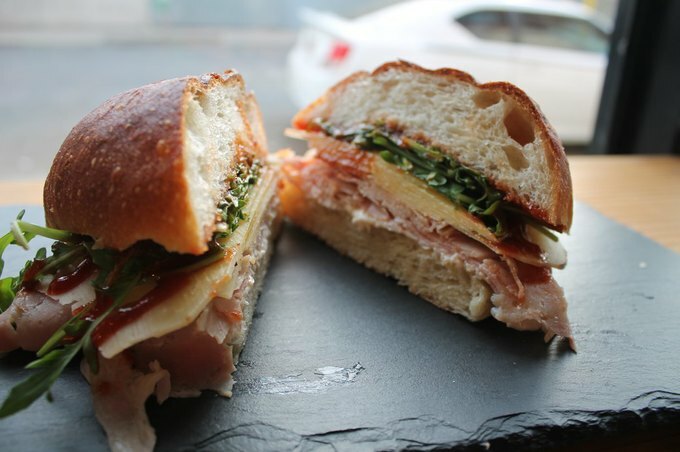 Turkey, arugula, spicy tomato jam, and dry jack. They’re a little smaller than a bodega sandwich, but each ingredient is fresh and well-paired with the perfect type of bread. At $9 a pop, they're not the cheapest lunch or dinner option around, but they're certainly not the most expensive either. 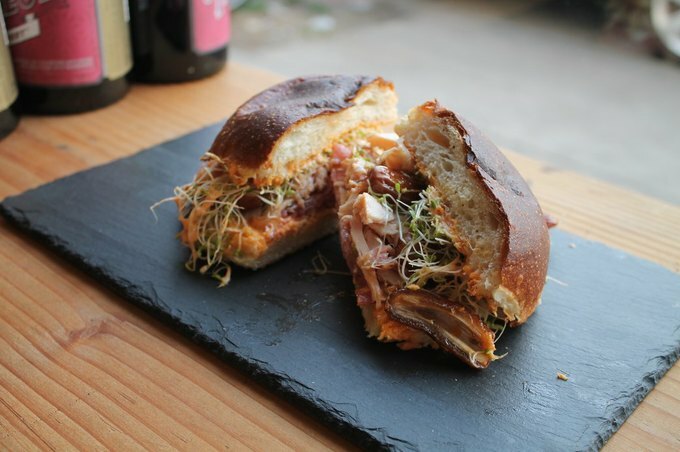 And as an added bonus starting Tuesday, Hops & Hocks will launch a sandwich rewards program. Stay tuned! Small sandwich, beer, and meat shop with an impeccable selection of hard to find items. 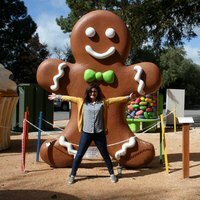 Follow Hops & Hocks on Facebook and Twitter.